Welcome to Prague´s surf arena and make use of the opportunity to try surfing in the heart of Europe, at smaller costs compared to a surfing Bali trip and under the guidance of skilled instructors. 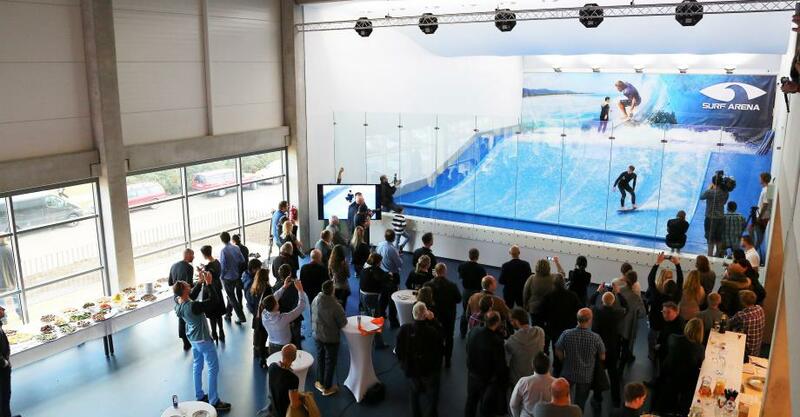 This indoor surfing arena is a one-of-a-kind combination of a surfing simulator a music club, bar and café with a lovely summer terrace - simply a place for a pleasant day combining action and refreshments. 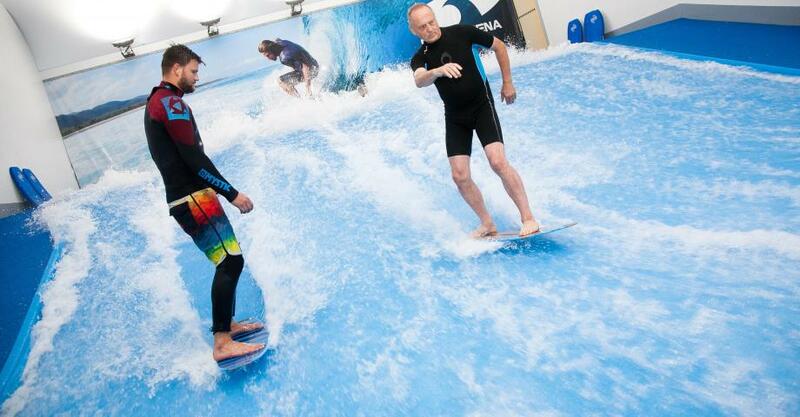 And how does indoor surfing actually work? 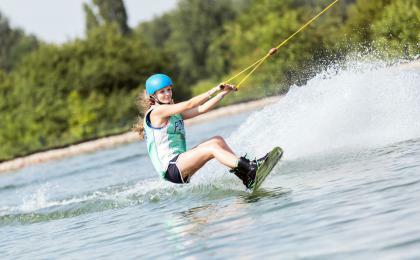 A powerful water current is forced through a specially formed pool which in combination with a uniquely designed board makes the adventure possible. Start with the much easier bodyboarding style, where you ride the board on your back or chest, and then move up to the standard surfing posture - standing and performing tricks as saltos and flips. Enjoy this original experience + free beer after activity and get a video recording of your rides as a bonus. 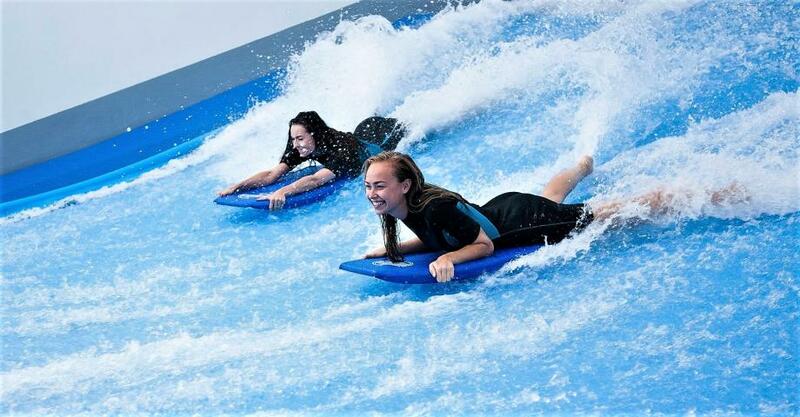 After briefing on the side of the pool, you will try artificial wave on bodyboard to learn basics about how does the wave work. You will be supervised by instructors all the time. After getting some basic habits, you will switch to propper surf and enjoy the ride! 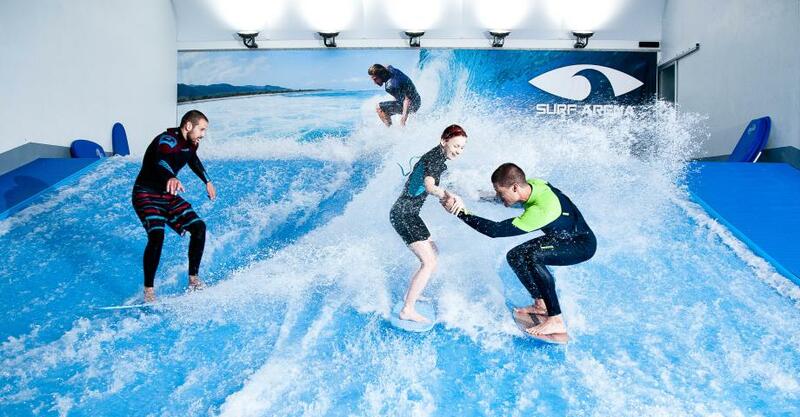 Please, come to the Surfarena at least 45 minutes ahead to prepare for the ride. This activity is suitable for any person over the age of 6. Kids under the age of 15 must be accompanied by an adult. Everyone under 18 must have parental approval. Participants do not have to be able to swim. Total duration is about 2 hours. You will spend one hour riding the wave and some time on briefing and getting dressed etc. This activity is designed for one person. There might be other participants during the course as well. They can stay in the hall with the bar and the view of the pool. Bring your own swimsuit, towel and toiletries - like going to the pool. If you forget, it does not matter, you can get everything necessary at the reception for a small fee. This activity takes place on the outskirt of Prague. Best way how to get there is by car. See detils on Google maps. CAR: Distance from Prague centre: 12km, travel time: around 20 minutes. TAXI price is under 10 EUR (cca 250,- CZK) from city centre. 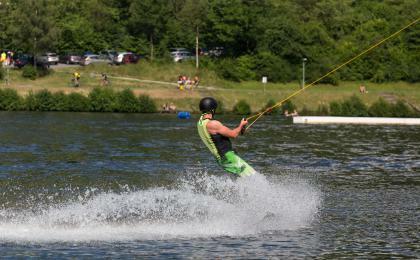 This activity takes place on the outskirt of Prague but you can get there by public transport easily. See detils on Google maps. Travel time: around 35 minutes, Ticket price: 1,5 EUR (32,-CZK) per ticket.